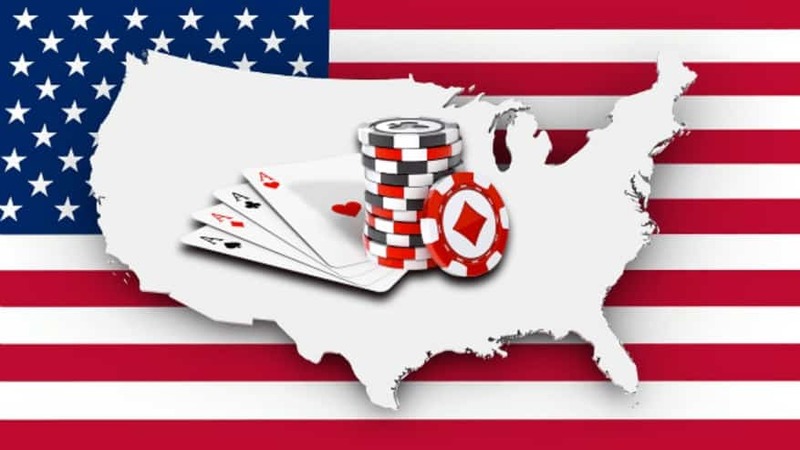 Powered by the one and only Betsoft Gaming, which means high quality level, amazing 3D graphics and animations, The True Sheriff Slot machine is presented to the players in 5 reels and 30 paylines. 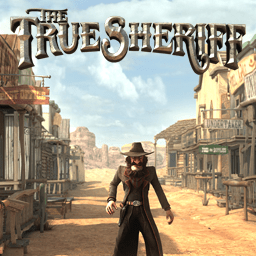 The True Sheriff slot offers various coin denominations including $0.02, $0.05, $0.10, $0.25 and $0.50. 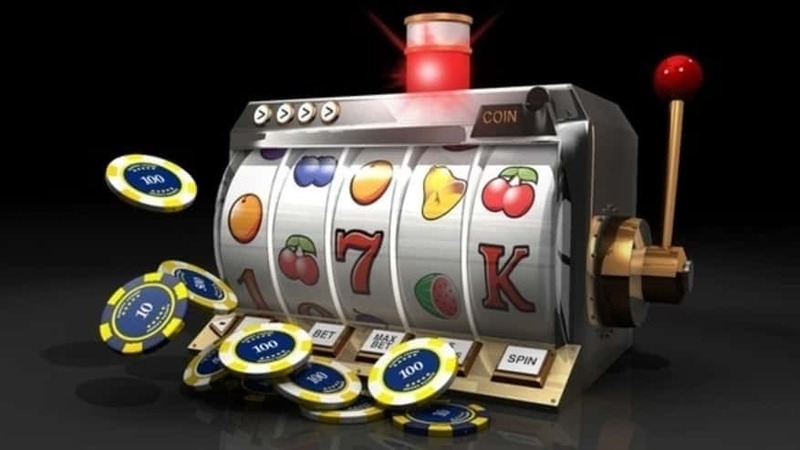 This video slot machine allows you to activate the number of paylines you wish, ranging from 1 to 30 and to wager anywhere from 1 to 5 coins per payline. The maximum bet on The True Sheriff is 150 credits. 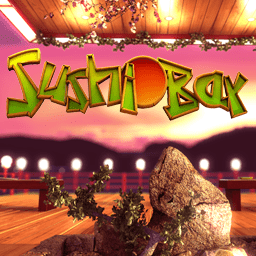 You have the unique chance to win as much as 15,000 coins with one spin if play this slot. 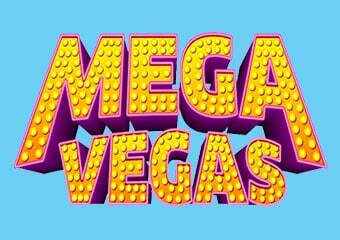 This online slot machine offers an RTP rate set at 97% to the player which is outstanding! 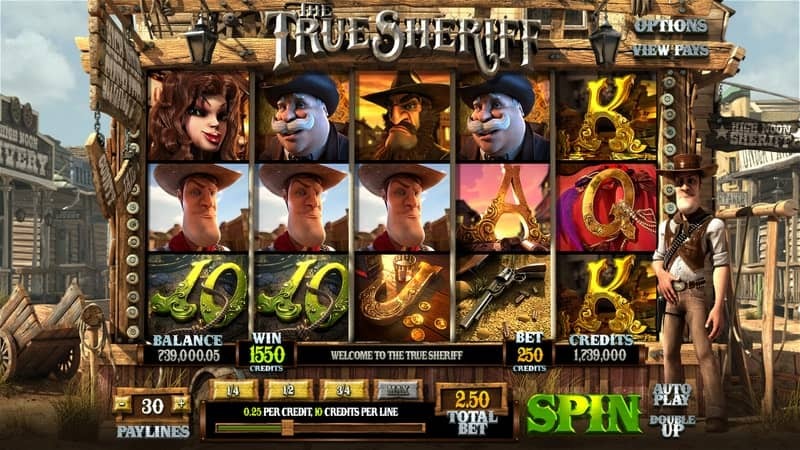 The True Sheriff slot theme takes you on a stunning journey to the Wild West, where you can have a fun time trying for some big wins. The soundtrack brings the storyline to life impressing you with the 1st spin. 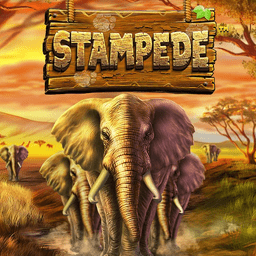 If you are brave enough to enter the world of the Wild West this slot is a must play. 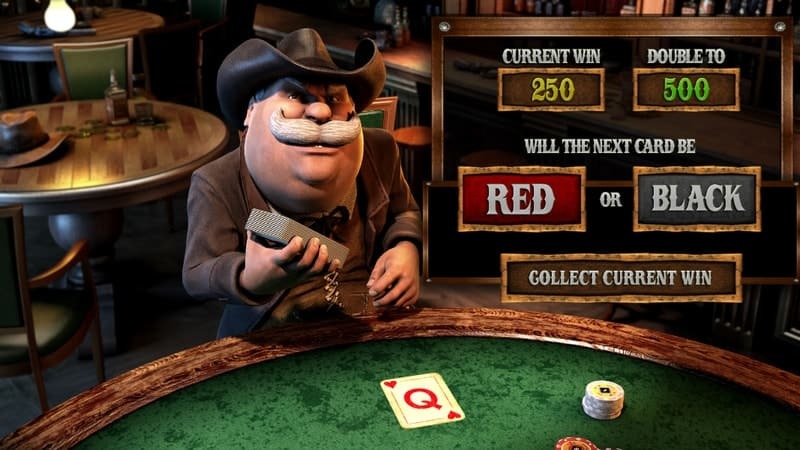 The main character in this video slots machine, The Sheriff stands to one side of the reels, joining you as you spin the reels, collect cash prizes and activate the bonus features. 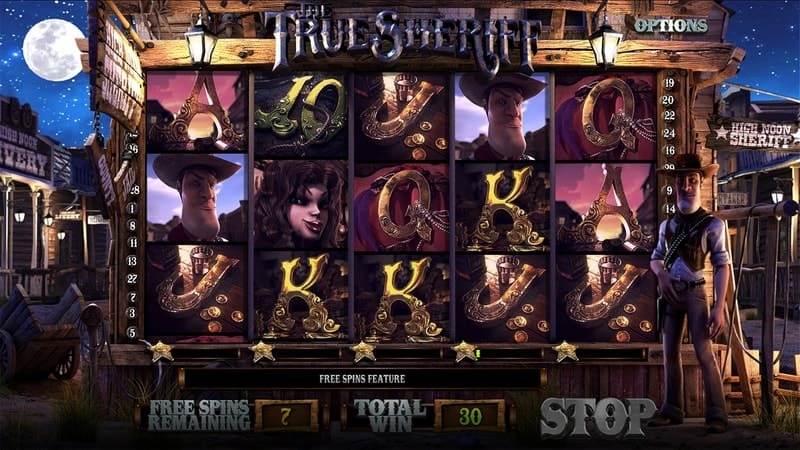 The True Sheriff slot game play is fully packed with some amazing bonus features, Wild and Scatter symbols. A fight between the Sheriff and a ruthless villain takes place on the reels, with old man and pretty lady cheering for the good-looking sheriff. 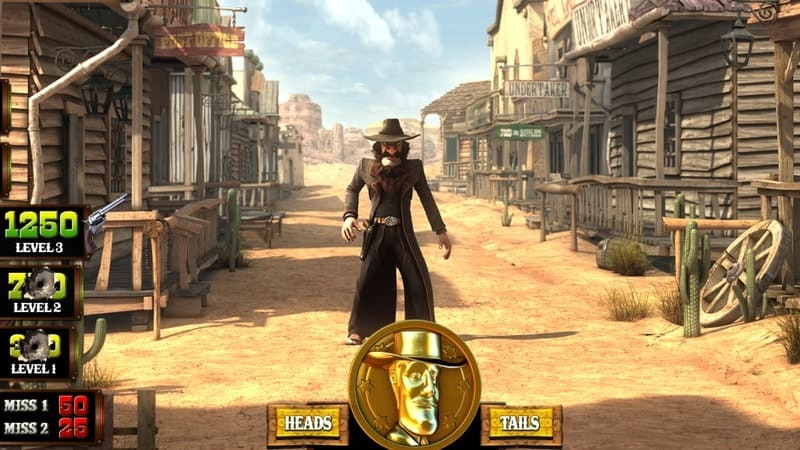 During this action-packed video slot, you will feel you are in the real Wild West surrounded by outlaws and gunslingers. As the reels spin, symbols appear of Colt-45s, bandits, Sheriff Badges, saloon girls, letters and numbers. The slot symbols are stylized in an Old West fashion as well as playing cards symbols that account for the lower paying wins, but they do help you to keep spinning while trying for those larger wins. The Sheriff’s badge is the Scatter symbol that triggers free spins in The True Sheriff slot. 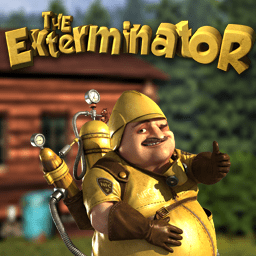 If you manage to land 3 or more on reels 1, 2 and 3 in conjunction with the Bad Guy, you will activate the Free Spins Round. 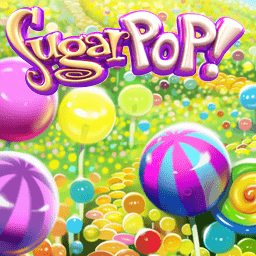 You will be rewarded with 10 to 15 free spins. 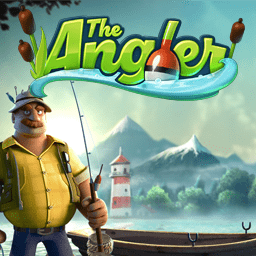 While you receive your free spins, each Sheriff badge that lands on the reels will be added to a badge counter. 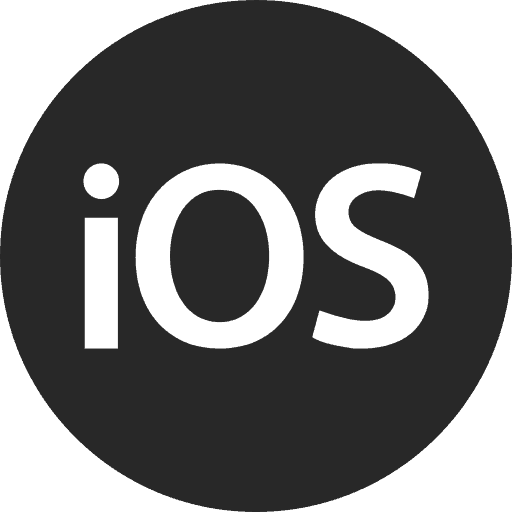 When this feature ends, the badges are calculated and become further payout to be added to your winnings. The special Wild Guns feature triggers the True Sheriff Slot bonus round when the Gun symbol lands anywhere on the center reel. The Sheriff will then go on a shooting spree hitting up to 5 symbols on the reels. 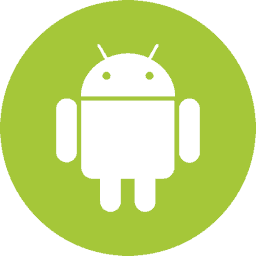 These symbols will then be transform into wilds and instant re-spins occur. The wild symbol replaces substitutes all the symbols except the Gun and Badge symbols. 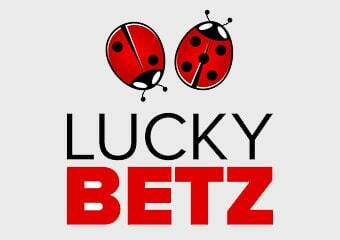 If you land 5 wild symbols while spinning with the maximum bet for this online casino game, you’ll receive 5,000 coins. 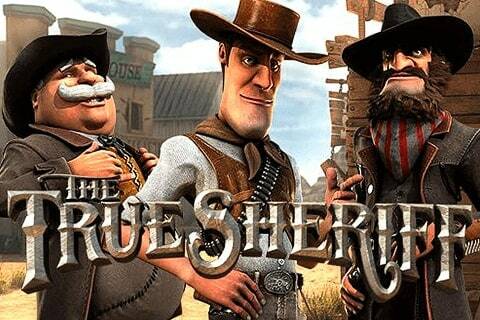 Created by one of the best 3D-animated slots developers, Betsoft’s The True Sheriff Slot game is a very entertaining online casino slot game. 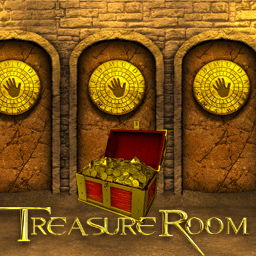 The online slots review team at Casinos Online Review were amazed at the quality of graphics as well as the excitement of the Free Spins and Bonus Round features. We also of course like the high RTP set at 97% for this game. Play The True Sheriff in our free slots casino GAMES ROOM or go big and play for real money at any of our top listed Betsoft Casinos below.